Do you have the time to spend with your pet? Dogs need to be walked – even in bad weather. Dogs and cats need someone to pay attention to them and play with them. You need to spend time grooming and training them. Can you afford the food, bedding and vet fees or pet insurance? Find out what food the pet has been used to and how much it costs. Any changes you make to their diet should be done gradually to avoid any digestive upset to the animal. Vet fees can be very expensive and illnesses and accidents can and do happen to your pet when you least expect them. For your peace of mind, and to avoid large vet bills, you should consider taking out pet insurance immediately and not wait until your pet needs treatment. Will a new pet fit in with your existing circumstances and family life? What effect will the new pet have on your lives? If you have children and other animals, you must consider how they will react to a new animal in the house. If no-one is in the house during the day, consider is it really fair to take on a dog and then leave him/her alone for long periods of time? A dog can get very stressed at being left alone for long periods. What provision will you make for your new pet whilst you are out- is a pet sitter/walker available if out for a long period? Who will look after the pet while you are on holiday? Will your pet be boarded at kennels/cattery? If so, take into account the cost. Do you have the time and the patience to train your new pet and help them settle into their new home? Some of the animals in our care have been with us for a while and so may have forgotten some of their manners – be prepared to have the odd ‘accident’. Cats tend to be more independent than dogs and can be left alone for longer provided they have enough food and water and access to a litter tray. Kittens and puppies should not be left alone for long periods at all. We would advise removing the collar off your puppy/kitten if being left alone/unsupervised. Decide if you want a large, medium or small dog or cat. If you live in a small house, a large, energetic dog may not be for you. Would you like a pure breed or cross breed, long-haired or short-haired pet? Would you like an old or young, male or female dog or cat? Once you have considered the above and think you can offer an animal a home, please contact us to discuss things further. 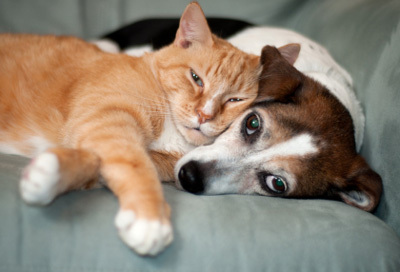 We have dogs and cats of all ages, sizes, shapes and temperaments. Ask lots of questions and take your time. Don’t rush in and take the first dog or cat you see – remember you will have your new friend for a long time and you want to get it right. Some of the animals in our care will require you to visit them on more than one occasion and will need to get to know you before you take him or her home. Once you are sure, go for it. It’s a decision you won’t regret! Useful information to help make it easier to prepare you and your cat for the arrival of a new baby in the house!